Yes, often now I go straight for the girl's shoe section before I browse for myself. Last week I spotted these at Famous Footwear on 34th Street. That's three layers of flower frills. Can you stand it? 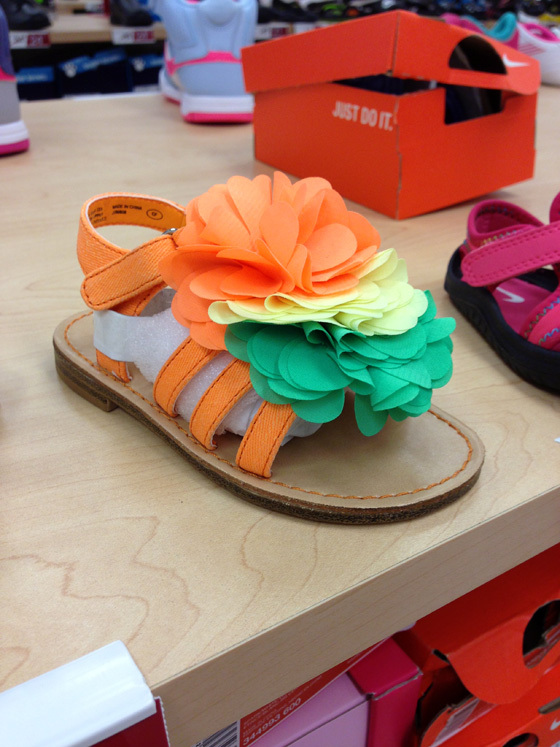 Touch of Nina girls sandals, now $29.99. And then these happened. If you're not satisfied with pink bows, there's also sequin studs and sparkly stuff. 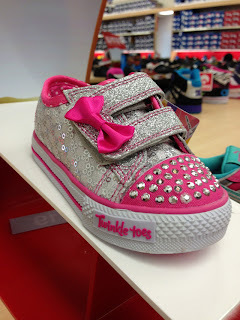 There are tons of cute Skechers for girls at Famous Footwear. I'm sorry, boys, there is nothing that tops shoes like these in any shoe department anywhere in the world, because boy shoes are brown, black, or blue, and always boring!